The new tax year is underway, but have you thought about investing your ISA allowance of £15,240 for 2016/17 yet? If you haven’t, it could be time to consider it – after all, as the saying goes; the early bird catches the worm. 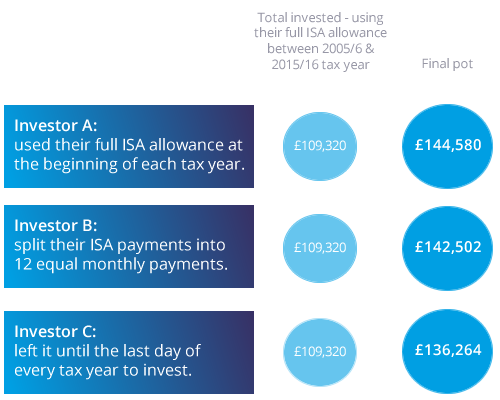 If you become an early ISA investor you could be better off than someone who leaves it until the end of the tax year to make their investment. According to the latest research from Fidelity Personal Investing, early bird investors, who make their investment as soon as possible in the new tax year since 2005 could now be over £8,000 better off than those who leave it until the last minute. It’s important to remember past performance is no guarantee of future returns and the value of investments can go down as well as up. Source: Fidelity Personal Investing, April 2016. This is a hypothetical illustration based on the performance of the FTSE All-Share Index between 6th April 2005 and 5th April 2016 and does not take into account the impact of any charges or fees. These figures show how investing a lump sum at the start of the tax year could allow you to have better results. Investor A – the lump sum early bird investor is more than £8,000 better off than Investor C, the last minute, lump sum investor. Of course, not everyone will have a lump sum to invest at the beginning of the tax year, but it’s worth noting that Investor B, the regular monthly saver was still markedly better off than Investor C who left it to the last minute. Investing at the start of the tax year gives your money an additional 12 months of tax-efficient growth potential. If you would like to find out more about how you could invest in an ISA, contact us to arrange a first meeting at no cost to you* with a financial adviser by calling 0330 332 7140** or emailing clearskyfs@fosterdenovo.com. *If you decide to take up our services, there may be a cost involved.  However, we will discuss fees with you in advance before any work is undertaken.